Data is everywhere - on moblie devices, in the cloud, in transit. The Accumulation of data and the rise of business using data to better hone their practices are rapidly evolving as data comes from various platforms and in different forms. 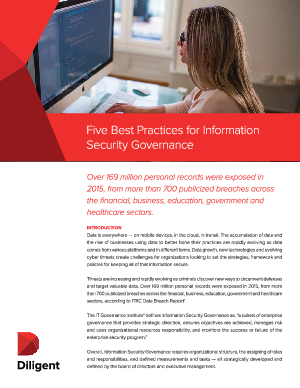 Data growth, new technologies and evolving cyber threats create challenges for organizations looking to set the strategies, framework and policies for keeping all of that information secure.